If you read my earlier post, you will know my position on paying children to do housework. I want to share 2 examples of how paying children to do housework is a good way to teach them the value of money. Each of my children have allocated family chores. There are also family chores that anyone can complete if they would like to work for more money – for example, if they are saving for something. The allocated chore however, is specifically for that one child only. The child is paid if the chore is completed. But if the child doesn’t complete the chore and I have to ask someone else to do it, that child has to pay someone else the money. Well, I don’t want to clean my home – mainly because I have sensitive skin and I would prefer to be doing something else (like blogging!). So I find someone who is willing to do the cleaning for me and I pay a cleaner to come and clean my home every fortnight. This is no different to the chores that are allocated to my children. They have allocated chores which they must complete. If they don’t want to complete those chores, they have to find someone who is willing to do those chores. They must then pay for the service. So far, none of my children have refused to do their chore once they are reminded that they must pay someone else to do the chore for them (and that someone else would often be mummy)! I pay all my children the same amount for each chore. I also pay them a very low rate. So low that it would be considered child labour. The reason I pay the same amount is really because of laziness. I can’t be bothered doing a chart for different jobs with different pay rates and I can’t be bothered keeping track of who does what. Paying them a high amount will discourage them to find a job of their own (when they are old enough) or discourage their creativity in earning money other ways (eg. pet sitting, etc). DS1: Mummy, I don’t think I should be paid the same for unloading the dishwasher. Me: Oh, why not? What do you think it should be? DS1: I think it should be higher. DS1: I don’t think it’s fair that I get paid the same as DS2 who has an easier job. Me: Well, convince me why you should get a pay rise. 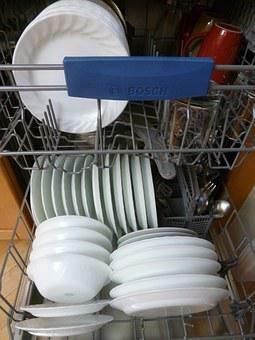 DS1: Each time I have to unload the dishwasher, there are 2 levels of dishes. There are also plastic things that don’t dry well in the dishwasher and I have to then spend time drying them with a tea towel and then I have to stack them into the cupboards. That takes a lot more effort and time. Me: Fair enough. How much do you think I should pay you? DS1: I think I should be paid $1. Me: Deal. From now on, your dishwasher chore will be $1 for each load. Win-win. He gets a 100% pay rise. I get a kid who has learnt to value his time and developed the skill to negotiate for a fair pay!